Your business is only as good as its data. Every company operating in the 21st century should have a Customer Relationship Management (CRM) database of current, former, and future customers. And that database should be continuously updated and edited to ensure the integrity of your data. If your data isn't accurate, it can lead to problems in sales, marketing, and customer service. Email addresses, physical addresses, preferred salutations, customer touch points, and other data points have to be up-to-date and correct for marketing campaigns, sales calls, and customer service interactions to be successful. Some of these data points can be scrubbed in-house by dedicated, well-trained staff members, while others might require software or third-party interventions. These four methods of data cleaning will set your business on the path to pristine CRM data. Your employees are the first defense against bad data. It is essential that they receive comprehensive training on the proper way to enter and update data in your CRM. No matter what you do, CRM training can seem tedious at times, so plan on short, constant training sessions and refresher courses a few times a year. It is also important to have a guidebook or training manual for your employees to reference in between training. Most CRMs have an online help section that your employees can use, but you should also have an in-house guide that focuses on company-specific data conventions and standards, as well as some FAQs about using the system itself. Even if you provide your staff with constant training and reminders, entering and updating data is rarely anyone's favorite part of the job, so brainstorm ways you can ensure all employees value data integrity. For instance, you can give out monthly awards for the employees who update the most records. Every CRM database has basic tools that can be used for data cleaning tasks, like the data deduplication tool. Schedule a regular time to run your CRM's deduplication function and have a staff member review and merge duplicate entries. If you send a lot of email or direct mail pieces or enter a lot of data into your CRM, you should de-dup your data at least once a week, otherwise, you can probably do it once or twice a month. To double check and edit data entries, you can use your CRM reporting tools to download all new data entries, then have a staff member standardize the data and re-upload it into the CRM, overwriting any bad data with the edited information. Again, how often you do this depends on how many emails or direct mail pieces you send and the amount of data added every day. If you don't have a dedicated CRM or data staff member, you can rotate deduplication and data cleaning duties among staff members, so they can all get a sense of what it takes to clean data. It could make them more proactive in ensuring the data they enter is clean. For most companies, the basic data cleaning tools that come with the CRM don't cut it. This is especially true when it comes to validating email and physical address information. 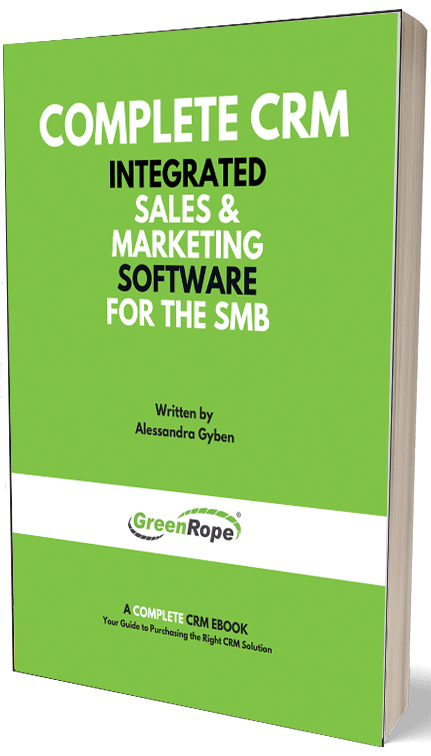 That's when you can look into integrating third-party cleaning software into your CRM. Software like TowerData and NeverBounce are data cleaning services focused on validating email addresses to reduce bounce rates, remove duplicates, and detect spam traps. TowerData also has additional services for email appends—finding or updating email addresses based on other data points in a record. Software like Experian does the same things for physical addresses. Integrating data cleaning software into your CRM will ensure your data is updated and accurate, so more of your leads will receive the mailings you send, and your company won't be labeled a spammer due to high bounce rates. If you don't have the staff resources to keep up with your data in-house, you can outsource your data management tasks to an outside company. By outsourcing, you can focus your staff on the core needs of your company like sales and marketing. In addition to not having to pay for full-time data integrity staff, your company can also save money on third-party data cleaning software. Employing a company that specializes in data scrubbing also ensures that the people cleaning your data are experts. Outsourcing your data cleaning tasks isn't the answer for every company, but it can be a cost-saving way to scrub your data as your database grows. Keeping data clean is not high on most people's list of fun tasks, but it is essential. If your data is wrong, you could offend customers with incorrect salutations or duplicate mailings, and your mailings might not reach your target audience because of bad contact information. By using these cleaning methods, you can be well on your way to crafting a data-cleaning strategy that will help your business thrive.